Cincinnati council had a four hour meeting Wednesday as it wrapped up business for the year and the current term of council. Council voted unanimously to provide $33 million for the replacement of the Western Hills Viaduct. The city's money would provide a 50-50 match with Hamilton County, which leaders hope will leverage state and federal funding for the project. The city's money likely will come from restructuring the city's current capital debt. That same debt restructuring could also provide $17 million for the fire department to build a new training facility, which has a price tag of $10 million. Another $7 million would be used to add women's restrooms and locker rooms to city fire stations that currently do not have them. Council also approved a motion Wednesday asking city administrators not to spend any additional money on the plan to renovate the former Permit Center building as the new Police District Five headquarters. In January, the new council will likely review a plan to build a new District Five building. That could be located in College Hill. Council approved a funding and development agreement with Cincinnati Landmark Productions to make improvements to the Bell Building in the Westwood Business District. It will involve constructing a 120-seat theatre, classrooms and studios for Madcap Puppets. The plan also includes improvements to the Westwood Town Hall property. The group passed an ordinance allowing the city to work with Northsiders Engaged in Sustainable Transformation to help acquire a property at 4145 Apple Street in Northside. The community group wants to redevelop the property into a co-op grocery store. The city will provide $515,000 of Community Development Block grant funding for the project. After an extended debate, council approved a motion asking the city's pension board to divest any stock holdings it has for companies that operate private prisons. Seven members supported the motion, and two voted no. Wednesday's council meeting was the last for members Kevin Flynn, Yvette Simpson and Charlie Winburn. 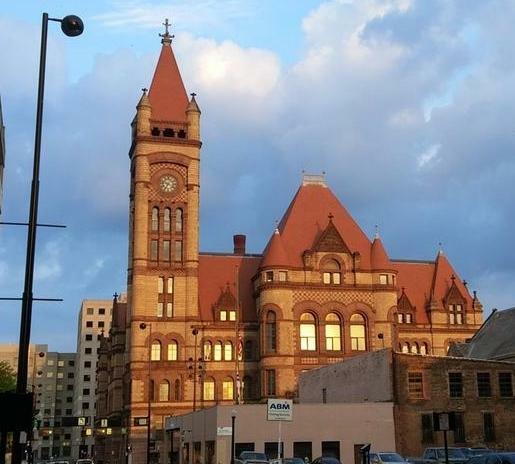 The new city council with three new members and six incumbents will be inaugurated on January 2.